Registration is possible until 31/7/2018. After this term selected participants (app. 30) will be contacted by the faculty coordinator. Participants will be chosen according to their pedagogical and research experience and according to their level of English. Please, provide all necessary information in the application form so that you help us to prepare unique mixture of professionals from different fields and culture backgrounds. 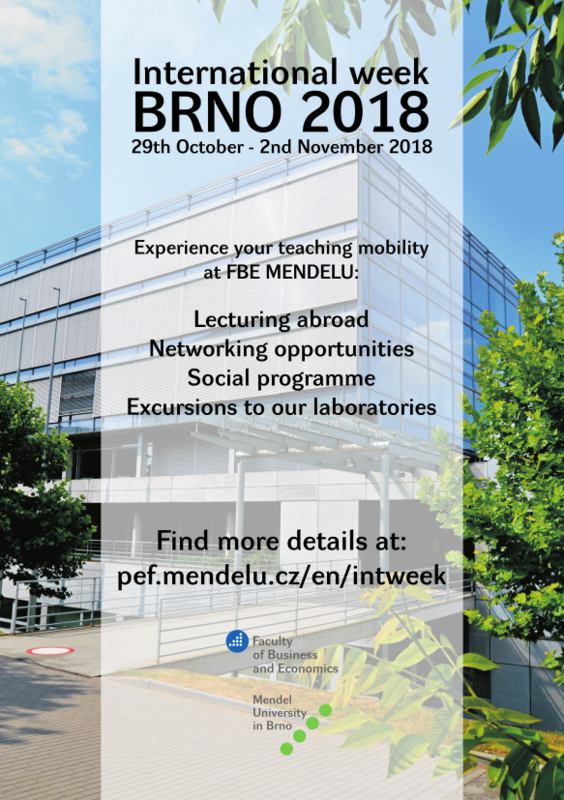 If you have any questions or problems, do not hesitate to contact faculty coordinator Eva Klepárníková, eva.kleparnikova@mendelu.cz.